Everything around Goods and Services Tax is bordered with the chunks of technology. Whether it is the credit compliance or the payment of the applicable taxes, a person couldn’t possibly perform these tasks without the presence of the technology. With no doubt, GST is completely a golden opportunity for the nation to make a canny shift to a world-class taxation structure and improve the economy at the same time. But did the government consider the demographics and the efficiency of the people before the implementation of GST regime? Let’s discuss some of the parameters that still make the newly implemented taxation system to clog and suffer. IT-enabled podium– All the processes being technology-driven, like the credits being passed on to the buyer after the seller furnishes its process of GSTR1 and the maintenance of the cash ledgers on the GST India online portal, the aspect to train and learn the GST becomes mandatory. Thus, you are required to maintain an exhaustive record of all the invoices and ultimately, you would have to approach the ERP technique for your business. The major load is on the shoulders of the people who are involved in the small-scale businesses and are still in the nascent stage. For them to completely evolve their taxation methods from offline to online create a huge disturbance that effects their day-to-day business operations. Applicable tax on the transaction– Since the implementation of GST, the tax applicability has been the most debatable topic. If you own a business and also have branches in some other states of India, then as per GST rules it is mandatory to consider whether the payment is rendered by the head office or branch office with the purpose. And the purpose definitely being a variable creates difficulties for the business. As per the GST law, the head office and branch office, both are different entities and have their own GSTINs. Following the same rule, the problem arises if the branch and head office both are in the same state and the payment is made between these two entities for the furtherance of the business. Such case comes under an intrastate transaction where CGST+SGST is applicable that requires an additional cash flow to be further mentioned in the budget of the business. Such mess increases the hassle of the entire taxation process. The compulsion for the shift- The government and GST Council have beforehand made the announcement that the shift from the older taxation system to the new regime is compulsory with no negotiations of any kind. In India, there are millions of businesses ranging from the small to big ones. And the system is completely digital that hinders the smooth shift. The government must enable and promote some IT companies for the development of software that could be patched easily with the businesses for GST compliance and need minimal effort from the user end. Although there are hundreds of quality software available all over the internet space that make the compliance easy, the process, for some companies, is not as easy as it seems. You will have to amend the policies of your business and implement additional provisions in order to give the third party an authority to interfere with your personal documents and business. The solution to this problem is a bigger challenge in itself. 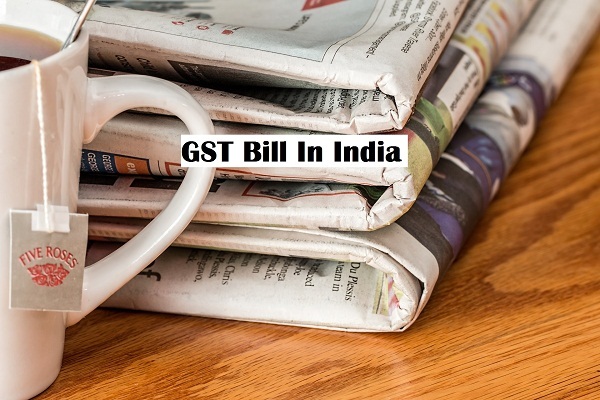 Even if the government takes the initiative to provide the third party software providers a temporary but guarded access directly to GSTN portal (so that every information remains before the eyes of the government) the process would require an enormous effort, cost, and high-end technology to make it sustainable. Changes in API– There has been the occurrence of some minor and major glitches in GST India online 2018 system that broke the integrity of the taxpayers for the new regime. Every business is involved in the transportation of the goods and services and thus also requires to maintain the record of the supply. The government thus, in order to cut the hassle, has authorized the law for every business to maintain the transportation record online. To comply with the rule of the e-way bill, the major challenges that you’d face are the frequently changing API and an unstable platform to comply with. Such lag results in the loss of both, the business and the government. The solution lies in the adjustment. And not only the people but the government should also address the complications and develop strategies to effectively eradicate them. Only with the combined effort of both the parties, the taxation will become smooth and effective.